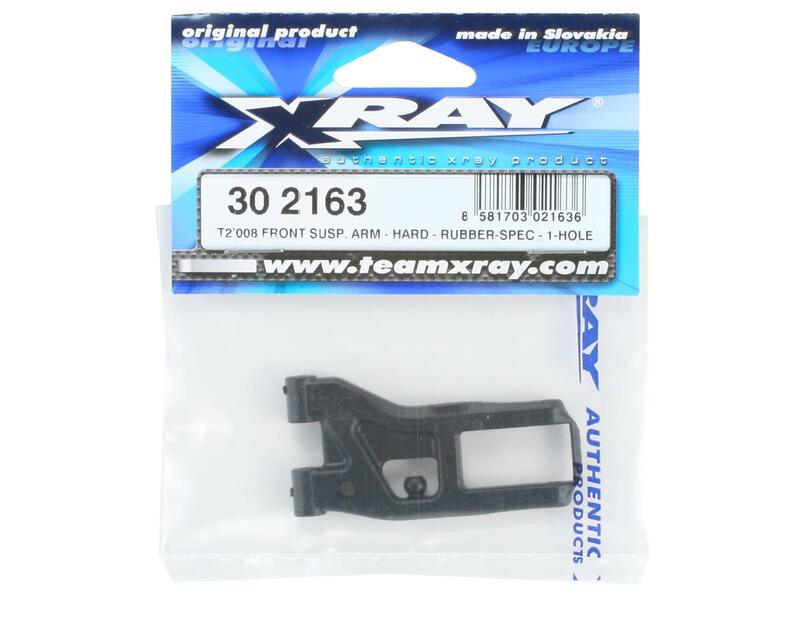 This is a XRAY Hard Rubber Spec 1-Hole Front Suspension Arm, and is intended for use with the XRAY T2 family of vehicles. 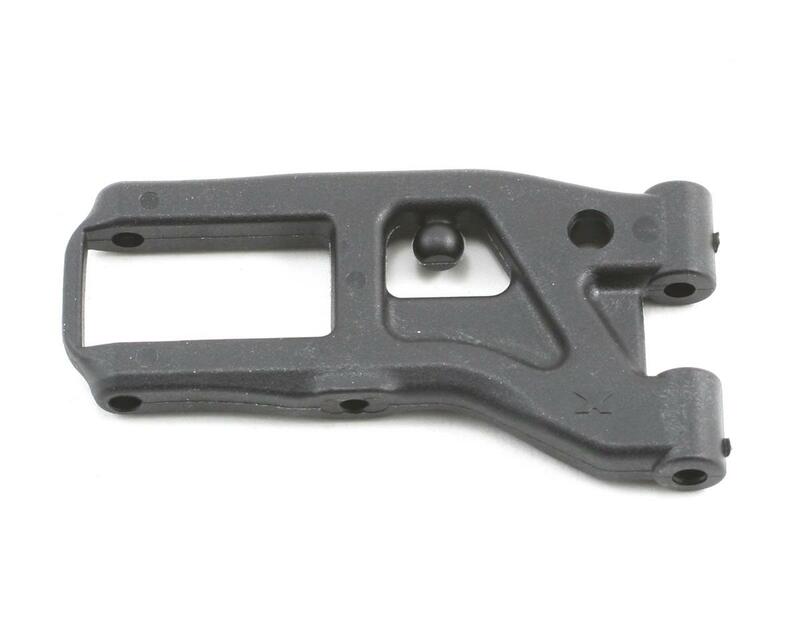 This standard hard-composite mixture arm (labeled “H”) is intended for rubber-tire racing. The specially-formulated composite material allows for a very light yet very durable suspension arm that can withstand the rigors of high-performance racing with rubber tires.